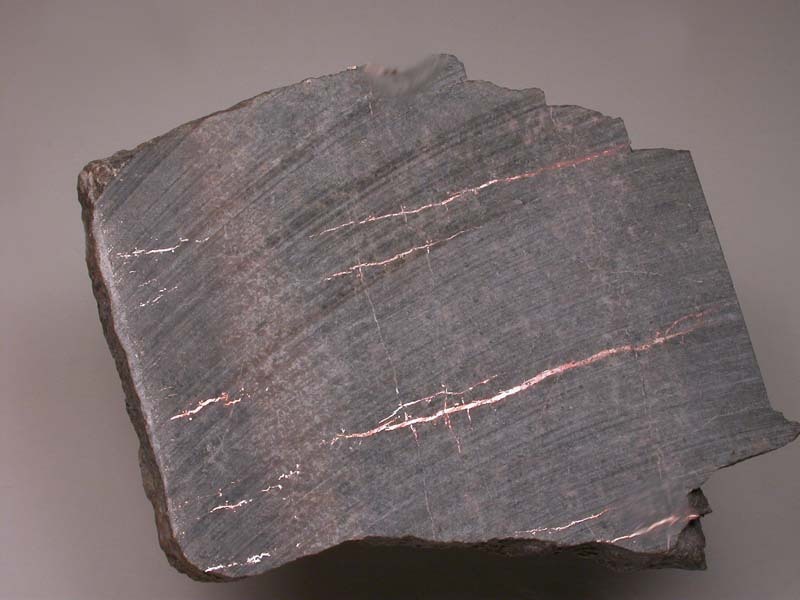 parallel veinlets of pure silver cut through tension fractures in this diabase matrix. The diabase seems to show some sort of zonation. Interesting piece!